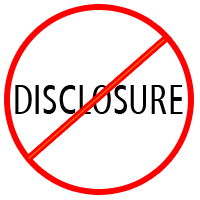 There are a handful legal mistakes made by lawyers when advising clients about their right to a nondisclosure. If you are reading this article, you probably know what a nondisclosure is, if not by its name, then by concept. It is a way to clear a record awarded to many of those who receive and complete deferred adjudication. Thanks to less-than-straightforward legislation, the right to a nondisclosure is not always simple. 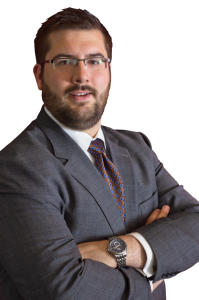 On occasion, we hear stories of someone who unwittingly relied upon incorrect advice and believe they are on the path to a clean record only to find out after months or years of hard work they are not truly eligible for a nondisclosure. Here are a handful of things lawyers should be doing to make sure their clients can avoid this situation. The law provides that a person may receive a nondisclosure so long as “during the period after the court pronounced the sentence . . . and during any applicable waiting period . . . the person is not convicted or placed on deferred adjudication . . .” This is clearly a “you didn’t learn your lesson” finger-shake written into the law. However, in practice, it ends up punishing those who have 2 or more cases pending in different courts at the same time. A common scenario can illustrate how this works. Joe has a felony controlled substance charge and a misdemeanor marijuana charge. Both the misdemeanor and a felony prosecutor agree Joe should get a second chance and both agree to deferred adjudication. The felony court sets Joe’s felony plea on a Monday and the misdemeanor court sets Joe’s misdemeanor plea on Friday. On Monday, Joe is sentenced to deferred adjudication in his felony, on Friday (while on probation for his felony) Joe is placed on deferred adjudication in his misdemeanor. Joe can no longer nondisclosed the felony case thanks to the Friday misdemeanor plea. This doesn’t make a whole lot of sense, but it is the law. As silly as it may be, it can be avoided by simple scheduling requests which most courts will accommodate. A case involving family violence is not eligible for a nondisclosure. There are few lawyers practicing criminal law who don’t know this. However, there are several who don’t understand the mechanics of avoiding this harsh outcome. Family violence cases are typically filed with an allegation the victim “was then and there a member of the defendant’s family or household or was in a dating relationship with the defendant.” We refer to this as a “family violence” allegation. It is a common misconception that when a prosecutor agrees to “drop the family violence allegation” the prohibition on a nondisclosure is lifted. This is not the case in the eyes of the prosecutor—and their arguments in opposition have only gained more momentum since the changes to the Government Code in the last legislative session. According to most prosecutors, the case still involves family violence, regardless of their agreement to drop the allegation years ago during the guilty plea. This is a trap into which people too frequently fall. Some cases involve waiting periods. In cases involving waiting periods, a person must wait a designated period of time after completing deferred adjudication before they may request a nondisclosure. Waiting periods are straightforward but often forgotten. Some misdemeanor offense trigger a two year waiting period, such as Assault and Disorderly Conduct. Any felony offense eligible for nondisclosure is subject to a five year waiting period. There are a number of other scenarios which fall outside of the scope of this digest version of the nuanced laws dealing with criminal records. While the pitfalls are many, they are finite and knowable. Most importantly, they are important to our clients who deserve to be made aware before making one of the most important decisions in their lives. Can an Officer Stop me for no Insurance — How Does he Even Know? Recent Victory: When are Mud Flaps Required in Texas?